As you will no doubt have seen from the press and comments posted elsewhere on this site, the village meeting in our church on Thursday 30th January was an outstanding success. We had somebody counting those present, however she lost count at 550, so it was certainly between 550 and 600. How true, and fight we shall! We do however need all the help we can get. There were almost 5,000 visits to this site in January alone, and some 28,000 page impressions. 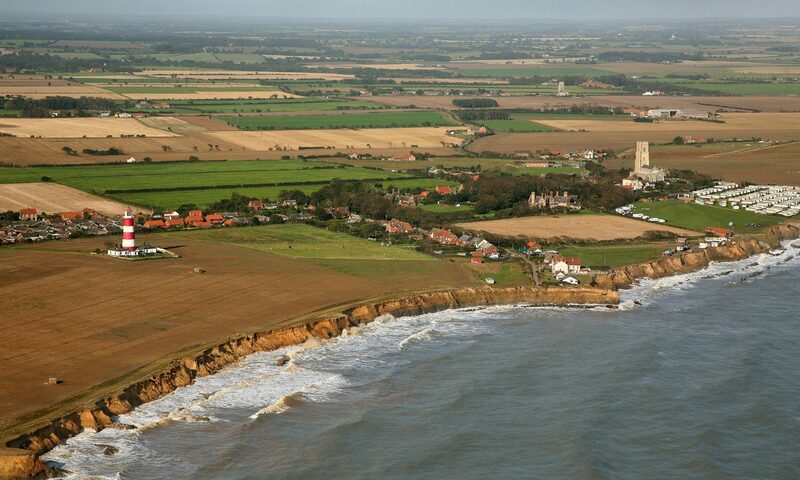 If all of those in the UK that visit our site would please write to their own MP and DEFRA demanding action now for Happisburgh and the northern Broads, can you imagine the effect of that? We might even get through to this extremely hard of hearing government. One thing is for certain, we will not give up. We will not waiver. If we could get to our beach, we would fight them on it!!! Please be assured every individual can make a contribution, as I have already outlined, and you will make a difference. Your letter could be the one that makes that difference. Finally, I have to report that despite inviting the Secretary of State to our meeting one the 30th, not a scrap of interest was shown by DEFRA. Mrs Beckett was invited on the 6th January, her office responded on the 7th saying quite simply “Thank you for inviting Mrs Beckett. We be in touch shortly.” That was the last I heard until some 6 1/2 hours before the meeting when I was told by telephone there would be no representation form DEFRA. In my view that was absolutely appalling, if DEFRA wanted to send the message We do not give a damn about Happisburgh they certainly achieved it. This community deserves to be heard not snubbed. Previous PostPrevious Going, going, gone … but what next?